Need more space? How about a conservatory? Moving home can become extremely expensive with the average house in Peterborough estimated at £220,000. This is why with growing families it becomes more cost effective to expand your home with either an orangery or a conservatory as this could save you thousands. Our contemporary conservatories offer Peterborough homeowners a cost effective way of adding a space to your property – also adding value to it as well. The RICS makes a similar calculation suggesting that adding either a conservatory or orangery will increase your Peterborough home by around 5%. Our design of conservatories have changed dramatically which makes them far more flexible as an all year round living space. Our conservatories deliver far higher levels of thermal efficiency and performance than the average conservatory company in Peterborough. This is why our conservatories and orangeries are suitable for lots of different applications such as kitchen extensions, playrooms, dining rooms, or even extra living spaces. The first thing is to stop looking at a conservatory or orangery as a “bolt-on” product rather than an integral part of your home. Our sales representatives will help develop your design to provide the most effective conservatory maximising the time you spend in this room and how it will work for the rest of your property. There are a wide range of factors to consider between a conservatory extension and the original Peterborough home to how to integrate this conservatory with its outside living space and garden. The next thing to consider the material type – uPVC or Aluminium? 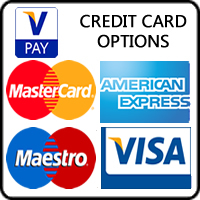 The type of material will define your taste, lifestyle and budget. 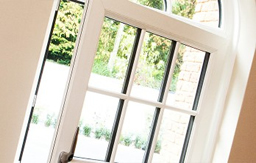 UPVC is the classic framing materials which looks stunning and is very affordable. 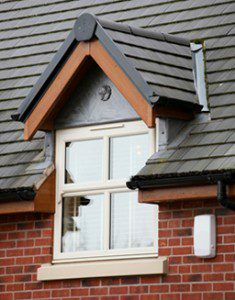 While aluminium provides the most stunning look, but comes at a price but ideal for those on a higher budget. UPVC conservatories have low maintenance, energy efficient, while our new foiling technology and colour options re-create the appearance of timber but require less care. Aluminium conservatories provide a clean sightlines look, with an architectural integrity delivery. Aluminium conservatories are also the ideal solution when you require a larger conservatory for items such as swimming pool or your own personal gymnasium. 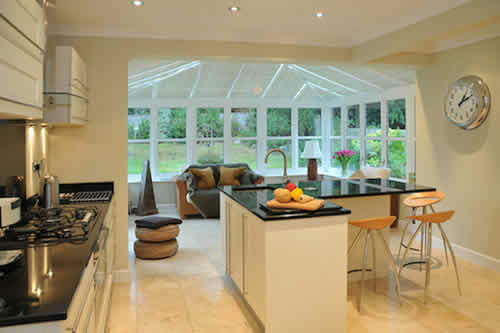 Depending on your budget and request will depend on whether you require a classic or contemporary designed conservatory. If you are looking for something a little different then Orangeries have that incredible appeal. An Orangery delivers light and space with large brickwork pillars and a part solid roof. Orangeries provide more sense of substance than a conservatory, making it closer to a full extension. The ‘hybrid’ offers the appearance of both the Orangeries and Conservatories delivering a very similar aesthetic look but at a price. These ‘hybrid’ use the typical core glass conservatory structure but have a lot more brickwork with its design, but by adapting a conservatory roof, rivalling the appearance of an orangery but at a far lower cost. These ‘Hybrid conservatories’ also obtain thermally efficient glass, making it an ideal space suitable for all year round use. Our innovation into glass technology has made our double glazing company the key solution for contemporary conservatories in Peterborough. Our conservatory range is far broader than most local double glazing companies, they are also thermally efficient, keeping the warmth in, while adapting the glare from the sun, reflecting its heat to reduce summer temperatures.